The Archa Theater, which was damaged by the August floods, will present a performance by famous Canadian dance ensemble, La La La Human Steps, in the State Opera House. During its first performance in the Czech Republic, the ensemble will present the world-wide premiere of its latest work, created by “court” choreographer and artistic director Édouard Lock. Since its origins in 1980, La La La Human Steps has gained quite a reputation, with performances based on wild explosive dance that walks the line between extreme risk and virtuosity. The centerpiece of the choreography is movement in the real sense of the word – passionate, dizzyingly quick, cruel, raw – using all, even the seemingly unthinkable, capabilities of the human body. Selected master works from the National Museum in Kyoto can be seen until the end of the month at an exhibition entitled “Treasury of Art from Kyoto”, which was prepared in cooperation with the Collection of Oriental Art at the Prague National Gallery. 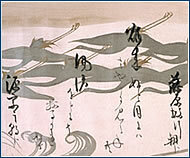 The collection of 67 artistic works contains rare specimens of Japanese art, including so-called national treasures (there are currently over 150 of them in the museum), which have never been shown to the European public to such an extent. The collections of the National Museum in Kyoto have been expanding since the museum’s establishment in 1897 and, from the point of view of quality, belong among the most significant collections of Japanese art in the world. They include an exceptional collection of paintings and sculptures, as well as extensive and eclectic collections from other fields of artistic craftsmanship as well as archeological findings. This fall, an “electrifying” show by the avant-garde, dynamic ensemble Stomp will be presented in Prague by European promoter Jazzmar. The world renown twelve-member ensemble, which was created in 1990, has introduced a new trend in staging art for the new millenium through its irresistible collage of theater, cabaret, music and dance. The off-beat, wordless show, which, since 1991, has been presented in sixty cities around the world and has been on the program of The Orpheum Theater on New York’s Broadway for seven seasons now, has no plot, so it easily bridges language barriers and cultural differences. The entire spectacle is based on rhythmic percussion created by unusual (yet ordinary) items such as trash cans, buckets, hubcaps, and even the kitchen sink. The ensemble has received many awards, including an Oscar nomination for the short film “Brooms”. 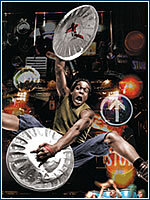 Stomp, Kongresové centrum Praha, November 5-10 at 19:30, weekend also at 16:00, tickets 700-900 Kč. For the eighth time in its history, the Prague National Theater will present a classic staging of Rostand’s Cyrano de Bergerac. It was first staged here on 22 March 1899, with Jakub Seifer in the title role. The drama is a manifestation of masculinity, honor, friendship and love, perennial values with universal significance. Perhaps no other work by this world-renowned playwright has been accepted into the Czech culture so perfectly as this romantic comedy about the poet and swashbuckler with the remarkable proboscis. In world theater, the story has been adapted into many other cultures, and cinema eventually jumped on the bandwagon as well. In his own way, Cyrano has been an observer and guide for the Czech theater over the past century. The translation by Jaroslav Vrchlický, which the play will use, is considered to be admirably true to the original. The director is Michal Dočekal and the main roles will be played by David Prachař and Jana Janěková jr., with such stars as Boris Rösner, Radovan Lukavský and Jiří Kodet in supporting roles . E. Rostand: Cyrano z Bergeracu, Národní divadlo, premiere on October 31 at 19:00, tickets 280-300 Kč.